So far we, with Turning Schools Around, have been leading from the front but half way through our journey, it was time to shift gears... It was time we took a back seat while Heads & teachers were in ACTION! Its been a packed month for Teachers & Heads. Heads have been working on the changes they want to see in their respective schools & teachers have been thinking about their lessons. This was the turning point of 'Turning schools Around' with many evident changes seen across all the five schools in various aspects. The teachers got together with their peers to plan lessons, preparation of teaching aids, making all efforts to do away with their sticks during classes, getting students to participate in different activities and brightening up their classrooms! What follows is a summary of our initiatives in this phase. The 3 day intensive training in the month of October focused on Planning lessons, making teaching aids. The teachers discussed and shared their ideas with their peers while they designed their lessons. They had their hands full for 3 days while they created supporting materials for their class. 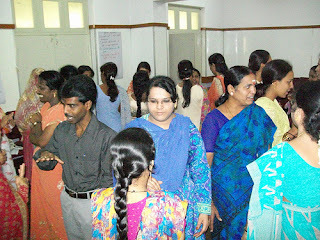 The 2 day – Language Enrichment training for the teachers in December. 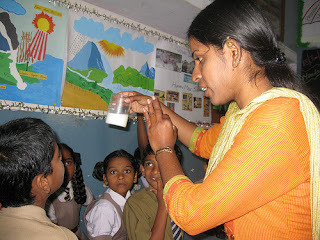 Teachers contributed actively & designed material for their classrooms. They felt more confident to deal with the Language. Teachers found that it helped them enhance their own language skills. The 2nd Phase of Headlamp was completed in the month of October. The 2 days training focused on 'Communication'. 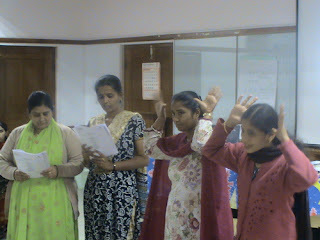 Heads participated actively and said that it helped them to improve their own communication skills. 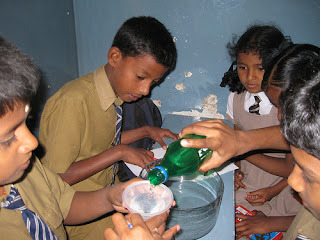 Mr Ahmed from Princeton said "I personally gained how to interact with people in my school." Teachers spend their Saturday afternoons thinking and planning for their classes. Teachers worked with their peers and shared ideas on teaching for the following week. 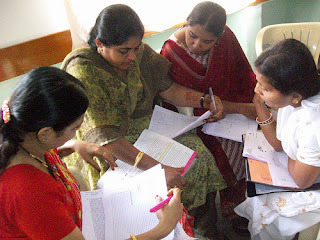 Teachers created plans, designed worksheets and created teaching aids. 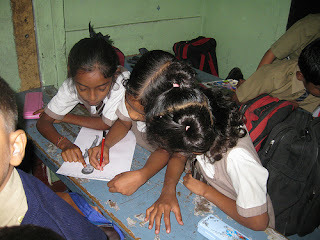 They said that getting together to plan was fun as well a great deal of learning since they got ideas from their peers! 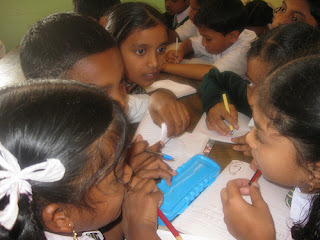 The lesson plans reflected interesting ideas,pair activities,worksheets and use of flash cards. Citizens' English Schools Head Mr. G. A. Khan has alloted the last Saturday of every month to co plan for the teachers. Teachers have a busy Saturday planning for their following week. The School Heads and Mentors used School Improvement Framework to identify the key areas of change in their schools. Heads & mentors worked on Teaching - Learning and Leadership Management domains. Key focus areas were identified and action plan for key changes were chalked out along with time line. The school will revisit the action plan in March to check the progress. 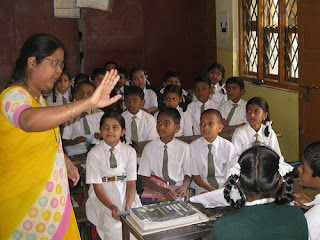 Citizens' English Schools Head Mr. G. A. Khan has alloted the last Saturday of every month to co plan for the teachers. He stays with teacher while they plan! 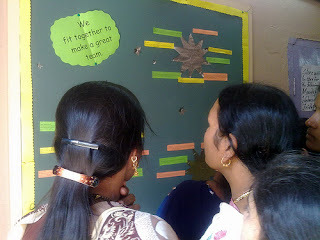 Teachers came up with questions and asked for help for their planning or classroom issues to TTF team. Noise levels have reduced in all the schools. Classrooms are looking Cleaner, Brighter and Colourful! The teaching aids, students work is being displayed all along the classroom walls. 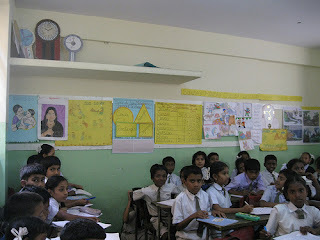 Charts, mobiles are seen across all schools. 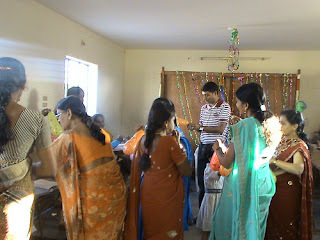 The high school teachers come into take a peek into the primary classes. It was time for some fun and celebration after all the hard work.420 plans combined with 300 demos by teachers deserves a CELEBRATION! The Coffee cake sessions had teachers enjoying themselves and competing for little and surprise gifts!We had teachers in Smiles when they saw special mention of their names on the Special Bulletin Boards for teachers.